This might very well be my new favorite thing. 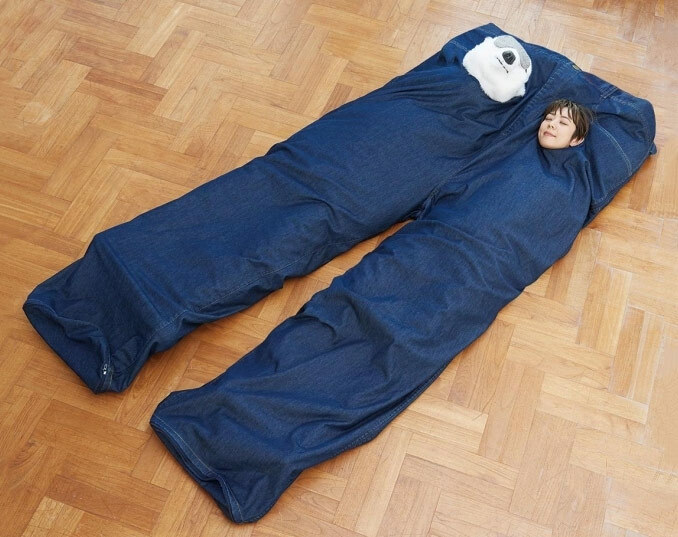 While the "Super Big Wrapped in Warmth Happy Furry Jeans Sleeping Bag" looks like an oversized pair of dungarees, it's really just a giant novelty sleeping bag built for two! It's available at Japan Trend Shop for $696. Grab one for me too and we'll have a sleepover. Carla and I enjoy the Japanese language learning video series called JapanesePod101. This episode of Life Where I’m From (produced by a Canadian who lives in Japan) has an interview with Risa, the host of JapanesePod101. She talks about how she learned English by going to England. She also has some tips for learning Japanese.